How do I change the first day of the week? 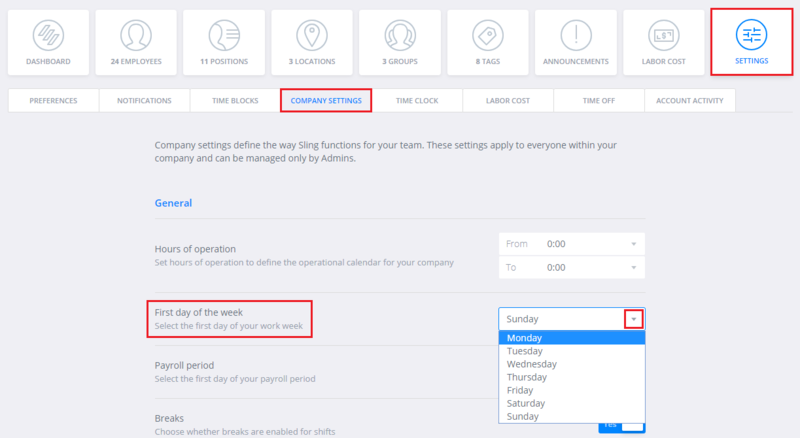 Not everyone's schedule runs Sunday through Saturday, so we've made it easy to adjust your settings to reflect your work schedule. To change the setting, go to Dashboard > Settings > Company Settings. It's the second option under the General section. Click Save and you will see that the Shifts page now reflects the new start day for the week, as well as Reports and Timesheets.